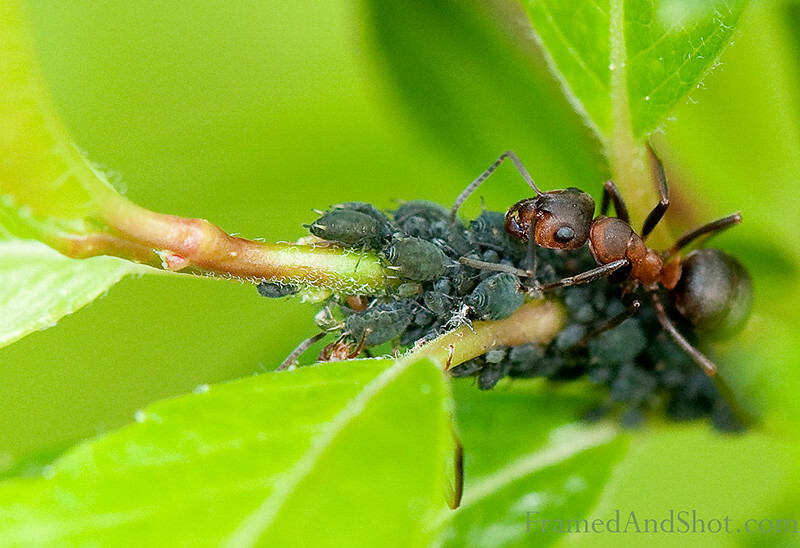 An ant “milk” these aphids by stroking them with his antennae, in order to get the sweet honeydew the aphids secrete when feeding on plant sap, this has given the aphids the nickname “ant cows”. The sugars in honeydew are a high-energy food source, which the ant collect. Did you know that ants evolved from some creatures looking like wasp a long time ago (in fact a very long time ago, around 120 million years)? Today there are between 12000-14000 species of ants, and they live almost all over the world, the only place without them is Antarctica and some very remote or inhospitable islands. This ant was captured in Norway.